CFO Strategic Partners (CFOSP) was founded in August 1999 to help organizations reach their goals. Many companies need talented financial leadership on less than a full-time or temporary basis. By providing a flexible and scalable solution without sacrificing talent, qualifications and commitment, CFOSP meets those demands. CFO Strategic Partners provides the collective talent of many high-quality CFOs, rather than just a single person. This gives growing companies financial bench strength and a decided advantage over competitors. CFO Strategic Partners has accumulated experience in almost every industry represented. CFO Strategic Partners gives companies exactly the financial expertise they need—from temporary to permanent and long-term to short-term. Numerous clients engage CFSP on a regularly scheduled long-term basis that ranges from several days per week to multiple times per month. The unique position CFO Strategic Partners holds in the industry, the vast experience gained over many years in business, and the ability to provide client CFO collaboration services gives clients a value that will make them great. Shannon has a passion for the firm’s mission statement, To Enrich Lives. It was embedded in her values and vision when she founded CFO Strategic Partners in 1999, and today is at the core of every major decision she and her team make within the firm. Shannon now brings her expertise, creative strengths, and strategic talents to the firm, serving as its CEO. She ensures that the growth of the company and its constant evolution are focused on helping owners of middle-market sized companies achieve their dreams and giving her team the opportunity to be the very best they can be. Shannon’s background includes working with KPMG in their audit team and several years in the banking realm, including commercial lending with United Heritage Bank and Colonial Bank. Nick’s background includes a combination of skills as a CPA, Entrepreneur/CEO, and investment banker. Nick began his career as a CPA with KPMG. As Senior Manager, Assurance Services, he conducted audit and assurance engagements as well as mergers & acquisition engagements. As a founding principal in of PCE Investment Bankers, a Florida-based investment banking firm, Nick represented numerous clients in mergers & acquisitions and private placements. He also spearheaded the establishment of the firm’s business valuation practice. In addition to Nick’s financial foundation, his entrepreneurial spirit crafted and created Touch Vodka, a locally sourced, small-batch distillery where he specialized in vodka and gin. He won national recognition from the San Francisco World of Spirits Competition, earning a gold medal. In 2012, Nick successfully exited his company with a sale to a Florida-based investment group and returned to investment banking where he could help other Entrepreneurs realize their value. Nick joined the team of CFO Strategic Partners to focus on the firm’s operations and to create internal systems and proprietary tools to ensure we maximize the value for each client. In addition, because of his investment banking roots, Nick provides direction to our team and CEOs on exit strategies, M&A, and ensures we remain focused on what truly drives corporate value. Brian Washington has over 20 years experience in Accounting and Management with small to mid-size companies. After graduating from the University of Richmond in 1998 with his BSBA in Accounting, Brian began his career in Public Accounting in New Jersey with a boutique CPA firm before joining a Big 4 firm. He worked with audit clients including hospitals, home health agencies, private foundations and manufacturers. In 2001 Brian joined a New Jersey based privately held contract manufacturer and distributor of vitamins and nutritional supplements. He went on to serve as the corporate Controller where he was responsible for the entire finance department and all daily accounting and financial reporting. 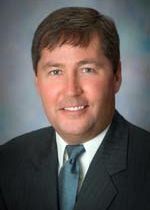 During his tenure, Brian was a lead on several key initiatives which positioned the company for future growth, acted as a team lead on a successful SAP implementation, oversaw the financial aspects of the start-up of a new manufacturing facility of liquids and skincare products in Orlando and worked with the CEO and other senior management to complete two successful private equity transactions. In 2009 Brian relocated to Orlando to serve as CFO for the company that had acquired the aforementioned manufacturing facility. In this role, Brian oversaw all accounting functions, human resource functions and managed all critical 3rd party relationships. Again Brian was lead on several key initiatives for future growth and oversaw, along with the COO, a 30,000 square foot plant expansion and a successful ERP implementation. Prior to joining CFO Strategic Partners, Brian served as CFO for a small privately held Orlando based company providing industrial drum reconditioning services and post industrial scrap plastic recycling. In his role Brian rebuilt the monthly financial reporting package and established new procedures to provide more timely and relevant information to the owners and the Board of Directors. Cheryle Frye has over 25 years of experience in financial and operational management with small to mid-sized businesses. She has served as a part-time CFO since 2006, helping clients through transitions and specializing in streamlining financial operations. Cheryle strives to make jobs easier, the flow of data faster and the quality of information more accurate for the other members of executive management. 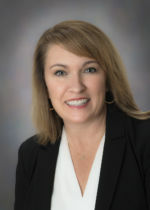 Cheryle’s career began in Houston, Texas with a national accounting firm after graduating from the University of Texas at Austin. After more than 3 years, she transitioned to industry working in both service and product-based operations in key accounting and management leadership roles while earning her MBA from Rollins College. She has extensive experience in the wholesale auto auction industry, food manufacturing, product wholesale/retail operations, property management and investment banking. Cheryle has managed system implementations and conversions as well as operational integrations with accounting programs. She specializes in managing growth so that overhead costs do not grow dis-proportionately. She has lead the due diligence process in several acquisitions. Cheryle enjoys working across all disciplines in a business to help create more collaborative work relationships between associates. She strives to help productivity increase dramatically when associates understand each other’s functions and challenges learning to work together towards mutual wins. Cheryle is a member of the Texas State Board of Public Accountancy. She has lived in Orlando since 1988. In her spare time, Cheryle can be found on her Harley motorcycle, spending time with her two grown children and helping foster dogs get ready for their forever homes. Davina is passionate about applying her experience and knowledge to organizations, to help them achieve their goals while improving the bottom line. As a results oriented professional, she brings vast experience across a multitude of industries. Davina received her Bachelor of Business Administration and her Master of Accountancy degrees from Stetson University. While working on her Master’s degree, she was employed as a Forensic Accountant for Campos and Stratus. She took a leading role in claims investigations including fraud, catastrophic damage and lost earnings determination. Davina obtained her CPA in 1998 and began her career as an Auditor for KPMG Peat Marwick in Orlando. After working for both public and private companies across various industries, she moved into the private sector. As Vice President of a mortgage bank, she was responsible for supervising the accounting department and overseeing all financial reporting, as well as meeting compliance requirements for external regulatory agencies. She further developed her skills in creating and implementing process improvement strategies that lead to dramatic drops in overtime, increased productivity, and an increase in overall department morale. Davina was also instrumental in assisting the Human Resource department, working as a liaison between company departments to facilitate and implement policies and procedures and provide employee training. As part of her career path, Davina moved to project based opportunities whereby she developed her expertise in identifying operational inefficiencies, accounting gaps, and work-process overlaps. By developing effective solutions, and providing a clear scope of work and timeline, she was able to streamline processes that led to quantifiable bottom line results. Through ongoing communication with Executive management, her systematic methodologies provided “real time” feedback as the milestones were met. This process proved to mitigate any major surprises while remaining flexible for the unforeseen throughout the implementation process. Some of her roles, in addition to the above, has been to provide due diligence for Mergers and Acquisitions, Adjunct Accounting Professor, Grant researcher, and Volunteer for various Not-for-profit entities. 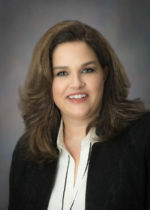 Gail Lacey joined the CFO Strategic Partners team in January 2012. She graduated from the University of Alabama in Birmingham with a bachelor’s degree in accounting. Gail began her accounting career with Lehmann Ullman & Barclay, a regional CPA firm in Birmingham, Alabama. After working in public accounting for five years, she left to become the controller for H&M Plumbing Company and Affiliates, a construction company specializing in commercial and multi-family construction. 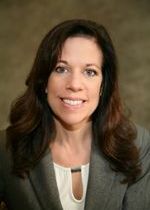 Most recently, Gail was the director of finance and accounting for Glatting Jackson Kercher Anglin, Inc., a community planning firm in Orlando. The firm was a privately held company that provided planning and design services for private land development, public spaces and the transportation industry. She was with the company for 16 years and left in 2011 after the company was acquired. She has extensive experience with project costing, financial analysis, budgeting and cash management. Jeannine began her career with a regional public accounting firm in Pennsylvania where she enjoyed working with the owners and accounting departments of banks, manufacturers, not-for-profits, service organizations, and employee benefit plans. Jeannine subsequently joined the finance team of a plastics manufacturer and distributor headquartered in Reading, Pennsylvania where she rose to the Chief Financial Officer & Vice President of Finance role, helping the business to grow both domestically and internationally to $130 million. 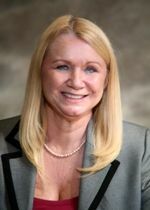 Before relocating to Florida, she served as CFO for a $150 million, start-up, national staffing company based in Pennsylvania where she developed the accounting team and process documentation to prepare the organization for exponential growth. 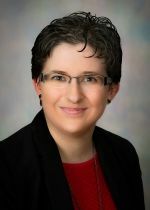 She earned her bachelor’s degree in from Bloomsburg University and more recently completing her MBA in Business from Alvernia University, both in Pennsylvania. Jeannine is passionate about applying her 20+ years of experience in Accounting and Finance to help our clients reach their goals. A lifelong learner herself, Jeannine believes that fostering an engaged workforce through communication and education improves the bottom line and enriches lives. Jessica joined the CFO Strategic Partners team in 2015 with over ten years of experience as an accounting professional. Her passion for helping clients achieve their milestones, was a natural fit for CFOSP, and her creative approach to complex issues is an asset. She began her career with James Moore & Co. as an audit and tax accountant, servicing a wide variety of clients including travel and tourism, hospitality, recreation and leisure, and state government. 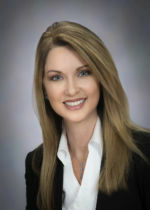 Since that time, Jessica has worked with multiple private equity groups, helping to position the companies for a strategic sale, while navigating the accounting department and management team successfully through the requirements of diligence, post-sale accounting, and the integration or elimination process, within each department. Jessica’s experience overseeing human resource management, coupled with her passion and knowledge of information technology systems and integrations, has catapulted her career allowing her to lend her expertise to establishing internal controls, developing and implementing critical security initiatives, and ensuring policy and compliance requirements are met. Jessica has been a licensed Certified Public Accountant in Florida since 2010, receiving her bachelor’s degree in accounting from Barry University. Jessica has a Master of Science in accountancy from Stetson University and enjoys Découpe, writing and traveling in her free time. 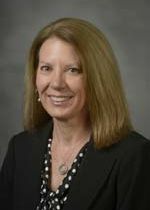 Karen joined CFO Strategic Partners with over twenty five years of experience in accounting and finance. She is a results-oriented CPA with a track record of leading the accounting, treasury, and financial management for corporations, nonprofits, and family offices. Her hands-on management style in the development and implementation of strategic plans has ensured increases in profitability and net worth for various entities and family shareholders. During her 23-year career with CNL Financial Group, Inc., Karen led the accounting functions for numerous corporations, partnerships, trusts, foundations, and high-net-worth individuals. 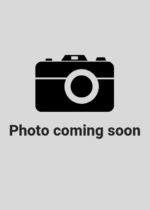 In her various roles, she was responsible for banking relationships, loan negotiations, and treasury management for CNL Financial Group, Inc., high-net-worth individuals, and numerous affiliates. Karen has also worked with nonprofits, assisting them with complex real estate transactions and improving their financial process for greater efficiency and accuracy. Karen has significant experience developing highly skilled accounting and financial management teams. 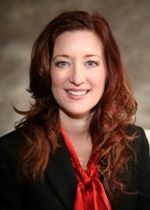 She has worked with owners, top management, and outside third parties concerning financial forecasting and reporting, estate planning, and various other financial and strategic matters. She enjoys working in the financial and real estate industries and excels at contract negotiations. 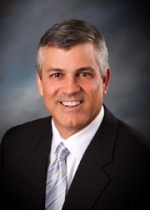 Kevin Lowdermilk has over 20 years of experience within finance and accounting including serving as the Vice President of Finance for a multinational business unit of Rolls-Royce. Kevin formerly served as the Chief Executive Officer and President of ISO Group, Inc – a venture capital-backed engineering, defense and aerospace company. During this time, he grew the company from $15M to $25M by markedly changing the financial direction and most importantly, significantly increasing profitability. As Chief Executive Officer and President of Exostar LLC, a global technology group, Kevin’s entrepreneurial experience, coupled with his dynamic financial expertise, keeps his schedule busy with client demands. He has been on the Board for a number of private companies across a variety of industries, including healthcare and aerospace and defense as well as manufacturing. Kevin has a BA degree in economics from Western Kentucky University and has an MBA from Ball State University in Indiana. Kirsten joined CFO Strategic Partners with over twenty years of experience in accounting and financing. Her interest was sparked at an early age by her role as a bookkeeper for an automotive parts company during high school. This led her to pursue a bachelor’s degree in accounting from the University of Louisiana at Lafayette. She began her career with Ernst & Young, LLP as an auditor in their New Orleans office. She then served as audit senior in their Long Island office and audit manager in the Orlando office, servicing both publicly and privately held companies with the entrepreneurial services group. 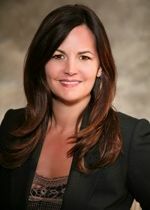 Kirsten left Ernst & Young to serve as controller for SunStar Healthcare, Inc. where she helped them to achieve rapid growth and secure multiple rounds of investor financing, while overseeing the accounting department to meet SEC and Insurance industry financial reporting and regulatory requirements. Kirsten then returned to public accounting where she oversaw the audit and accounting department as senior audit manager for Keith Altizer and Company, P.A. for over fourteen years. In that role, she not only provided financial statement assurance services to small- to medium-sized businesses, but was also able to work closely with business owners to resolve issues they were facing and achieve their goals. Kirsten has significant experience and enjoys working in a variety of industries, including real estate, construction/contracting, distributors, nonprofit, ecommerce, professional services, insurance and automotive dealerships. In the time prior to joining this firm, Margaret A. (Peggy) McGarrity has spent most of her career as a government finance officer. She is a lawyer and a CPA with a Master’s Degree in Business Administration. 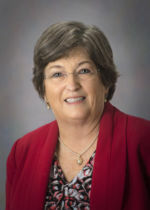 She has more than 30 years of experience in government finance, which includes five years as a senior member of financial leadership in Orange County Government, 20 years as a municipal finance officer, seven years as finance officer at Osceola County and the Osceola County Sheriff’s Office, as well as two years as the CFO for LYNX, the Central Florida Regional Transit Authority. Peggy has made numerous presentations to the Florida Government Finance Officers Association, the Florida Sheriff’s Association, and the Florida Clerks and Comptroller’s Association on topics including accounting, financial statement preparation, internal controls, fraud detection, leadership, and public finance. 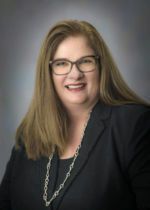 Ms. McGarrity is an active member and past president of the Florida Government Finance Officers’ Association (“FGFOA”), as well as a founding member of the Gulf Coast Chapter of FGFOA. Peggy is a graduate of the following leadership programs: the University of South Florida Executive Fellows Program, the Harvard “Leadership for the 21st Century, Chaos, Conflict and Courage” Program, Leadership Osceola, and Leadership St. Petersburg. Peggy is a member of the Accounting Advisory Council at Valencia College, and a past member of the USF Accounting Circle. Ms. McGarrity is an adjunct instructor of accounting, budgeting, and law at Valencia College and Columbia College. Her experience spans not only the management of government finance and accounting, but also the strategic issues facing organizations such as the nuances of public budget and finance accountability including bond issuance and internal controls. Maria is a results-driven professional with experience in all areas of management including strategic and financial planning, accounting, and operational oversight. She began her career as an auditor with PricewaterhouseCoopers LLP, serving a wide range of clients including private and publicly-held entities, and diverse industries including manufacturing, banking, real estate, entertainment, and nonprofit organizations. She later joined Skandia Insurance Company Ltd, Sweden, an international property/casualty and long-term savings and investments group, subsequently acquired by Old Mutual Group, U.K. Over her 20-year career at Skandia and Old Mutual, her responsibilities ranged from Controller and CFO of various operating units, to COO of the Group’s emerging operations in Southern Europe and Latin America. Maria is a Certified Public Accountant, Certified Financial Planner and Chartered Financial Analyst. For the past four years, Maria has served as volunteer mentor at the Orlando Chapter of SCORE, a national volunteer nonprofit organization dedicated to helping entrepreneurs and small businesses succeed, and was elected Chapter Chair in 2012. 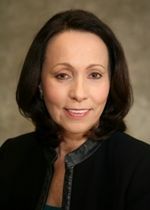 She is also First Vice-Chair of the Board of Directors of Community Health Centers, Inc., a Federal Qualified Health Center (FQHCs) that provides medical and dental care for traditionally underserved communities in Central Florida. Meghan Dalton has over 25 years of experience in accounting and financial leadership. Her career started at Ernst & Young in Little Rock, AR after graduating from Michigan State University. In this role she was involved in the audits of a number of public and non-public entities in a variety of industries. Some of the industries she has experience in include financial institutions, professional services, and manufacturing/distribution, among others. Meghan went on to serve as the Controller and Vice President of Investor Relations for a public semiconductor manufacturing company, where she managed the finance department and was responsible for all accounting and financial reporting functions. Additionally, in this capacity she was responsible for effectively communicating the company’s strategy, financial projections, and overall value proposition to the investment community. Subsequent to this, Meghan served in key financial leadership positions for several private companies in the healthcare industry, including pharmaceutical and professional services companies. In this capacity she was charged with managing all financial operations and reporting, including oversight of the annual external audits. Prior to joining CFO Strategic Partners, Meghan served as the CFO of a rapidly growing healthcare services company, where she helped refine the corporate strategy and operating model. She was also responsible for forecasting operational and growth capital needs, and directed all strategic forecasting, general accounting, financial reporting, and revenue cycle management functions. 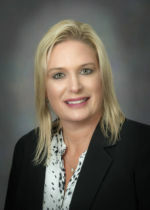 Susan Bounds graduated from the University of Central Florida with a bachelor’s degree in accounting. She began her career with Arthur Andersen (Andersen) in the Orlando office in the audit division and worked on both public and private clients. She served clients in many different industries including transportation, hospitality and food services, real estate, and retail. As an experienced manager with Andersen, Susan led a client service team of 40 people for a growing multinational public company. During her time with that client, Susan assisted with or managed SEC filings including current filings such as 10K and 10Q, as well as periodic filings such as S-1, S-3, S-4, and S-8. She also interacted with investment bankers, attorneys and others as she helped her client with numerous debt and stock transactions. 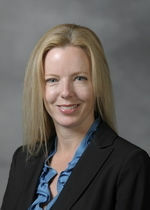 Susan joined the CFO Strategic Partners team in October 2005. Since joining the team, she has worked in a variety of industries including insurance, lobbying and retail. In addition, she has performed project work including the preparation of pro forma financial statements for a public offering, and an analysis of distributions for a family-owned company. She is married with two children, and enjoys traveling and volunteering at her children’s school. 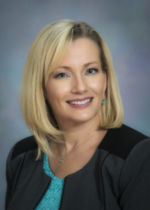 Tonja Pektas graduated from Florida State University with a bachelor’s degree in accounting in 1993 where she was in the Honors and Scholars Programs, Leadership Fellows Program, and Southern Scholarship Foundation Alumni of the Year. Tonja then received her master’s degree from the University of Central Florida in 2002. She started her career at Arthur Andersen as an Auditor in 1993 where she gained experience in numerous industries including construction, hospitality, manufacturing, banking and non-profit. Tonja was asked to join a start-up company, Coast to Coast Renovations, in 1996 as a Controller to build their accounting department from the ground up. She implemented software, created policies and procedures, worked with underwriters to secure lending, and was in charge of hiring a complete staff. In 1997 she joined McCree, Inc. as a CFO in which she was responsible for the selection and implementation of new accounting software, overseeing staff, and preparing monthly financial reporting packages for the Board of Directors. Tonja also managed communication with estimators, architects, permitting, engineers, project managers, IT, and Human Resources. In 2000, Tonja began offering private consulting services, including assisting clients with their accounting processes as well as policies and procedures, developing budgeting processes, and implementation of set-up accounting for new divisions within organizations. Tonja has been involved with several organizations throughout the years including Junior Achievement and The United Way, and she is currently the Creative Director at her church. In her spare time she enjoys traveling, dancing, and spending time with her friends and family, especially her husband and five children. Wendi Brockwell has over 20 years of experience in accounting and financial leadership. Throughout her career Wendi has focused on helping businesses achieve financial stability, sustainability and implementation of technology in order to operate efficiently. Wendi has both an MBA and a Master of Science in Accounting with a Controllership specialization from Strayer University. Wendi worked at a large regional accounting firm in Colonial Heights, Virginia. In this role she was involved in financial statement, tax preparation and consulting for several small and medium non-public entities in a variety of industries. Some of the industries she has experience in include construction, realtors, developers, health care professionals, manufacturing/distribution, and transportation among others. In many instances, she worked with clients on implementation of new technology or training on current technology in order to provide more accurate day to day information for the clients. Wendi also served as an Adjunct Faculty member at a Virginia community college for 10 years. During this time, she was responsible for the preparation and instruction of classes for both degree seeking and continuing education students. Wendi subsequently took a position as Comptroller with a non-profit association in Florida. In this capacity, she was charged with managing the entire accounting team as well as reporting on financials to the Board of Directors. She was also charged with managing the relationship with the external accounting firm and the financial management of other entities created for additional business purposes. During her tenure, the association experienced tremendous growth. Robin began her career at Sprint/United Telephone in 1998 and spent 15 years working in various positions of increasing responsibility in account and finance. She worked with middle and executive management to develop, monitor and explain departmental expense budgets and developed and monitored the company’s annual capital budget. Starting in 2004, she worked at Ashpaugh & Sculco, CPAs where she performed audits of various companies. Robin was controller for CFO Strategic Partners from 2006-2011 providing monthly financial results for clients in non-profit, legal, and medical industries. She then took a position as controller for The Destiny Foundation providing all financial support for the CPA, President, and Board of Directors. In 2011 Robin joined Total Marketing Concepts as Controller and in 2013 was promoted to Chief Financial Officer responsible for overseeing all aspects of the accounting and finance function. Robin returns to CFO Strategic Partners with a great deal of industry experience that she is excited to bring to her clients. Jennifer brings over 20 years of experience specializing in bookkeeping and controller level support to small businesses. Her experience spans many industries including manufacturing, construction, real estate and the legal profession. For the past 11 years, Jennifer has managed all aspects of an electrical contracting company’s finances including payroll, accounts receivable, accounts payable, tax preparation, and cash flow as well as managing the office. She was instrumental in streamlining their daily operations as well as auditing their accounts and establishing a QuickBooks accounting system. When she isn’t working, Jennifer enjoys spending time with her family, refinishing furniture or enjoying a good book. Maria E. Rust brings over 9 years of experience in accounting and management in a wide range of professional roles in both publicly traded and privately held corporations. She also has extensive experience as a successful small business owner in the accounting and real estate sector. Beginning in 2009 Maria E. owned and operated an accounting company providing tax and payroll services to individual, small, and midsize businesses, and supported the development of accounting processes within her client’s business. After growing the practice, she sold the firm in 2014. 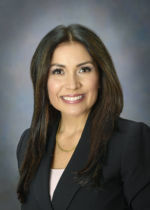 Maria E. joined CliftonLarsonAllen, LLP in 2014, the 8th largest CPA and consulting firm in the country. While working with CLA, Maria E. prepared and reviewed financial statements and tax compliance filings for domestic and foreign entities while at CLA. She worked with a wide variety of clients in different industries, including construction, real estate, manufacturing, distribution, and professional services. 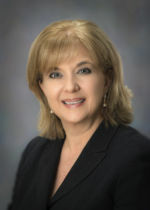 Maria E. transitioned out of public accounting to join a large non-profit organization in Orlando where she was tasked with managing the preparation, review and analysis of 51 entities’ financial statements, as well as the development and improvement of the shared services accounting processes utilized by her team. 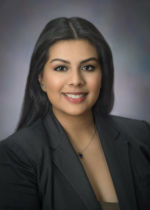 Selene graduated from The University of Central Florida with a Bachelor of Arts in Political Science with a focus on Pre-Law, Intelligence, and National Security. During her college career, Selene gained administrative experience by working in notable healthcare facilities. She brings with her a strong background in customer service, event planning, office and product management to further the organization’s mission and values. In addition to her duties as an administrative assistant, Selene enjoys volunteering and forming relationships with members in her community. Raised in sunny South Florida, Selene grew up participating in beach clean-ups and continues to actively support marine conservation groups like Ocean Conservancy and Florida-based Sea Turtle Conservancy.